Strong tail proves crucial in tight contest. Success for Theo, Mark, Ashleigh, Shivani, Jack and Olivia. Reigning champions Collingtree lose in the final. Arthur Johnson, Wayne Harmer and Trevor Twelftree come out on top. Mikey Chambers (Overstone Park) triumphs by two strokes. Final days results. Wellingborough member bags one shot victory with late birdie. Peterborough Milton beat Kettering 3-1. Northants County are beaten by one point in the final. Farthingstone are beat 4-1 in final. Northamptonshire beat Bucks in the Scratch and Handicap Final. Farthingstone are beaten 4-1 in the final. 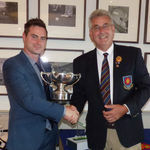 In-form Taylor Sargeant won the Stableford Cup with Garry Tindle. Susan Potter, Julie Ribano, Carol Gibbs and Gill Snelson triumph. Scratch Foursomes title is secured by Sam Henfrey and Taylor Sargeant on countback. 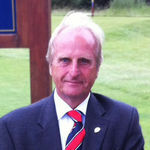 Alan Wrigley claims two shot victory at Northants County. 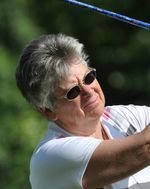 Two Kettering members and Marian Johnson secure County Ladies titles. 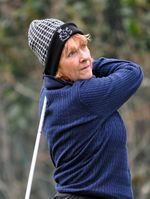 Northamptonshire took time to find their feet in County Ladies Week as they went to finish in fifth place with two wins and three defeats at Denham GC. Charlie Salter and Ashleigh Critchley were crowned Boys and Girls County champions. Cold Ashby’s Paul Askew and Liam Askew race clear at Silverstone. Kettering pro Campbell wins at Wellingborough. 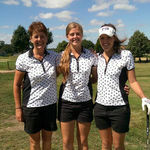 Ida Jane Huggins and Lema Townsend combined to win the Ladies Fourball event. 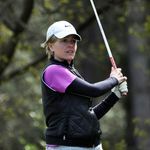 Wellingborough’s Ellie Darnell triumphs on home course. 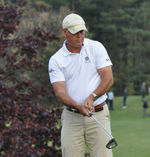 Joseph Hyde shot a one-under-par gross round on the nine-hole short course at Brampton Heath GC. Northants Under-14s edge a tight contest at Peterborough Milton GC. All 12 players contributed for Northamptonshire in away victory over Cambridgeshire. Northamptonshire lose 8-7 to Leicestershire & Rutland. First piece of silverware in 2018 goes to Kettering golfer. Places are already filling up for the events on a packed calendar of men's, ladies, seniors and junior tournaments in Northamptonshire over the next 12 months. Defending champions Northampton B have been handed a challenging draw in the 2018 Junior League. New gross and net trophies will be up for grabs in the boys and girls categories. Collingtree beat Oundle to win the Handicap League final for the seventh time. 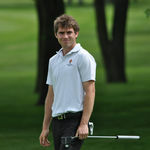 Three home club members combined with Tom Burgh to triumph at Kingsthorpe. Wellingborough secured their first Scratch League since 1984, while Kingsthorpe and Kettering gained promotion. Northants County trio Paul Shrives, Brian O’Connell and Paul Fitzgerald are successful at Collingtree Park. 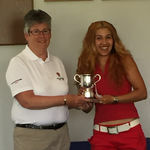 Northampton member clinched the top prize as Whittlebury’s Danielle Edwards claimed Tazza Trophy. Kingsthorpe’s Irene McGowan claimed a one point victory. 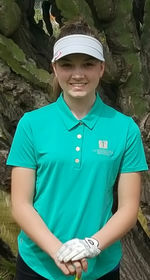 Northampton’s Lara Auld posted the leading score in the county girls event at Hellidon Lakes. Wellingborough duo Kevin Turner and Steve Crawley lifted the Seniors Pairs Open. 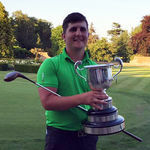 Jamie Ashcroft beat the other club champions at Northampton. Overstone Park lost 3½-1½ in the final at Northampton. 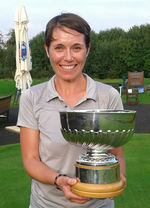 A great finish helped Samantha Harding (Staverton) clinch the Bouverie Bowl. Peterborough Milton B team lost 3-1 to Northampton B in the final. Whittlebury won the Scratch League and Cecil Leitch crowns. Kingsthorpe defeated Northampton 4½-3½ at Whittlebury Park. Northamptonshire's youngsters won the Anglian League for the third year in a row. Northampton lose to Milton in a play-off following a thrilling final at Overstone Park GC. Father-and-son Paul and Liam Askew are successful on their home course at Cold Ashby. Elton Furze member wins, while Northampton quartet triumph in Fourball Am-Am. Overstone Park’s Alan Freeman was crowned Seniors County Champion by two shots. 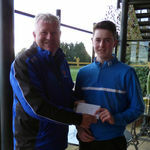 Teenager Charlie Salter triumphs by three shots at Wellingborough GC. Liam McNeela and Ellie Darnell won the Boys and Girls Championships respectively. 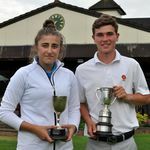 Wellingborough's Ashley Connolly and Ryan Connolly triumph at Priors Hall GC. Pro Simon Lilly got the better of amateur Ben Jones in a play-off. 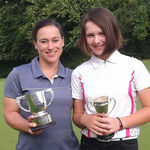 Claire Lindsay beat Ellie Darnell 2&1 in the Final. 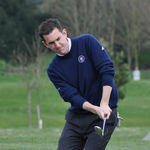 Cold Ashby’s Stuart Nicholas claims one shot success at Peterborough Milton GC. 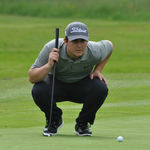 Kingsthorpe's Elijah Woodward emphasises his short game skills. 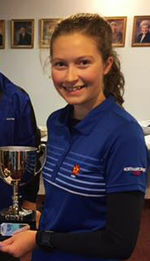 Elise Warden lifted the NGL Roses Spring Cup as the Overstone Park youngster triumphed on countback with 36 points at Priors Hall GC. 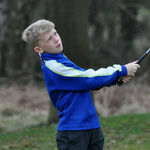 Eleven-year-old Elliot Strickland triumphs at Brampton Heath GC. 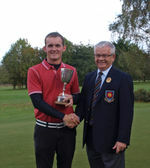 Matt Myers won County Men’s Championships at Kettering GC. Ben Jones, Natasha Ainsley-Thomas and Richard Cole clinched county titles. Northants Boys reached national finals for second year in a row. Hat-trick of Anglian League titles for Northants Seniors. 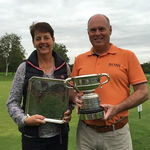 Mary MacLaren and Marcel Aarts won the NGL Mixed Fourball Betterball event. A 5½-2½ final victory over Kettering seals second title for Collingtree. My Lord, Tony has done it again! 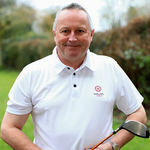 Tony Lord used his experience to clinch NGL Scratch Matchplay KO Final success. The new date for this competition is Sunday 23rd October 2016 starting at 10am. Narrow final victory ends Whittlebury Park’s reign as champions. Hell-o, its title number three! The Handicap League final goes to Hellidon Lakes for third time in five years. Men's team beat Brampton Heath to secure first win in 32 years. Wellingborough father-and-son Ashley and Ryan Connolly triumph on home course. Meghan, Becky and Mary MacLaren bagged the points as Wellingborough triumph. 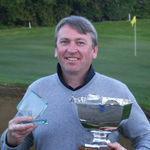 Richard Cole (Peterborough Milton) won the NGL Seniors County Championship title. Northants County’s Matt Myers and Ben Jones triumphed on their home course. Mother and daughter Kirsty and Ashleigh Critchley claimed the NGL Bronze and Intermediate crowns. Matt Myers (Northants County) was crowned champion for the first time. 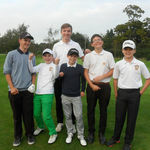 Northants Boys team will represent the Midlands in the England Golf Boys County Championships. Ben Jones (Northants County) was crowned 2016 Boys County champion at Overstone. Whittlebury Park’s Natasha Ainsley-Thomas celebrated her 18th birthday by clinching the County Girls crown. 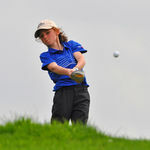 Luke Barney won two team prizes in the County Junior Championships at Overstone. 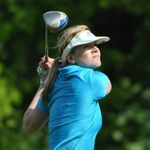 Wellingborough’s top golfer bagged the winning point for GB & Ireland in Curtis Cup. 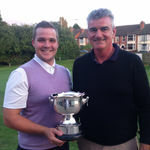 Father and son Paul Askew and Liam Askew (Cold Ashby) were the pair to beat at Priors Hall GC. 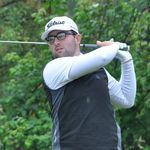 Brampton Heath pro Dan Wood clinched top spot at Northampton. Peterborough Milton’s Thalia Martin triumphed on her home course. Crown Executive Cars Ltd is a family run business. It was originally founded in 1993 for business travel, private hire and airport transfers. 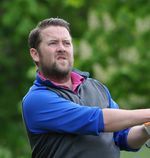 Priors Hall golfer secures victory on countback at Kingsthorpe. The NGL County Ladies 1st team to play in County Match Week at Temple Golf Club from June 20-24, 2016 has been selected. 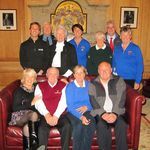 Northamptonshire supplier which specialises in the Supply of Staff Clothing, Promotional Clothing, Workwear and Promotional Merchandise. 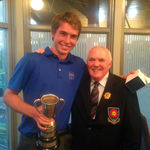 Owen Watts (Kingsthorpe) lifted the inaugural County Academy Par Three Championship trophy. Northamptonshire’s Boys and Girls teams enjoyed a record breaking year. 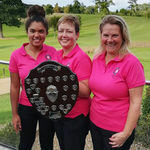 Northamptonshire were crowned Ladies County Vets Team Champions for the first time after beating 15 other teams at Beau Desert GC. 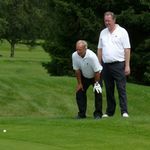 Northamptonshire Seniors retained their crown as they drew 7½-7½ with closest rivals Lincolnshire at Kenwick Park GC. 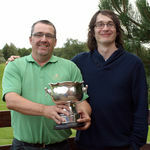 Andy Sewell (Brampton Heath) held off the challenge of Mark Davis (Wellingborough) after the final event at Kingsthorpe. 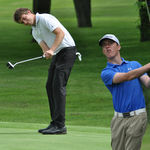 Wellingborough clinched the title for the second time in four years after defeating Northampton 5½-2½ at Collingtree Park GC. Northants County recorded a series of big individual wins in a 6-2 home success against Peterborough Milton. 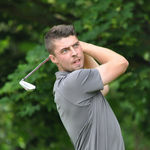 Northampton’s Lewis White was in sensational form as he carded a winning score of six-under-par 66 at Wellingborough GC. 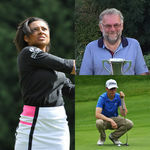 Gary Malin, Jason Spence and Nigel Welford were the combination to beat at Whittlebury Park GC. 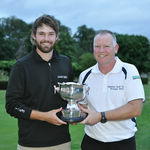 Whittlebury Park made it three successive victories as they defeated Elton Furze 6-1 in the final at Northampton GC. 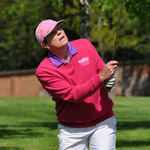 An eagle on the third and two birdies on short holes late on helped Carol Gibbs (Wellingborough) win at Northampton GC. Rachel Smith bagged the decisive point as County prevent Wellingborough from retaining their title. Collingtree Park's youngsters beat Staverton Park in the final. 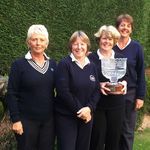 Northamptonshire won the Handicap section as they defeated Oxfordshire in a play-off at Temple GC. 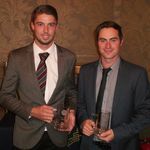 Northamptonshire picked up the runners-up prize in the England Golf County Team Championships at Kings Lynn GC. 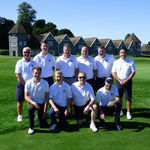 Collingtree Park beat reigning champions Wellingborough 16-0 in the final at Priors Hall GC. Kingsthorpe’s Gavin Hitchcock and Jason Spence received a pleasant surprise in the presentation ceremony for the Stableford Cup as they clinched the top prize at Kettering GC. CAMBRIDGESHIRE V NORTHAMPTONSHIRE Northamptonshire became Anglian League Under 18 Champions for the first time in their history. Northampton Golf Club emerged victorious in a thrilling final against Kingsthorpe held at Overstone Park Golf Club on Saturday 25th July. Jon Harris (Wellingborough) and Miles Mudge (Staverton Park) combined perfectly over 36 holes at Peterborough Milton. 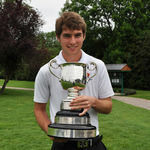 Priors Hall's Callum Farr won the Midland Boys Amateur Championship. 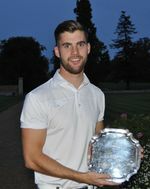 Kingsthorpe’s Jack Brown was crowned Men’s Northamptonshire Strokeplay Champion for the second time at Oundle. Industrial door specialists Stanair are sponsoring the Northants ladies team. One point was margin of victory in both Junior Inter Club Competitions. County girls team captain Millie Billson took the plaudits. 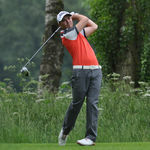 Luke Barney was victorious by two shots on his home course at Overstone. Peterborough Milton’s Ted Dunn and his daughter Georgina won by one point at Cold Ashby. Northants reach England Golf County Team Championships final for first time. 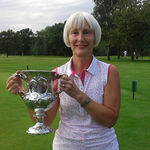 Mary MacLaren won the Ladies County Championships for the first time after beating Wellingborough club-mate Gill Snelson 2&1 in the final on their home course. 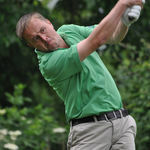 Brampton Heath’s Andy Sewell won the Higgs Bowl at Collingtree Park. 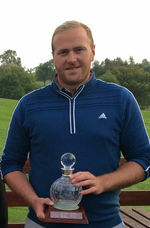 Nick Herridge (Brampton Heath) recorded a one stroke victory from three players at Peterborough Milton. Northamptonshire’s veterans won the 2014 Anglian League and the newly-formed East Midlands League. Three Northants juniors made the knockout stages in the 2014 Boys British Amateur Championship in Scotland. A merger between the Northamptonshire Golf Union and the Northamptonshire Ladies County Golf Association moved a step closer. 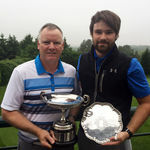 Cold Ashby’s Fraser Carnihan won the Am-Am at Overstone as Wellingborough’s Kyson Lloyd and Jon Harris finished joint-top of the 2014 NGU Order of Merit. Paul Harris and Danny Roberts won the Foursomes title after beating Kingsthorpe’s Steve Jackson and Paul Croxford in the final. For more details of all the NGU KO Finals in 2014. A 4-1 victory against Peterborough Milton in the 2014 final at Kettering sealed Brampton’s first success in the NGU Hollingsworth Trophy. 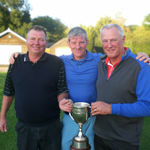 Darrin Keech, Stuart Swann and John Allen took full advantage of local knowledge as they won the NGU Izzard Trophy. Who provided the knockout punches in 2014? Kyson Lloyd, Michael Campbell, Martin Jinks, Ross Mason and John McPhee were all successful in NGU KO events this year. Peterborough Milton B were crowned Junior League champions after edging out Northants County in the final at Overstone Park. Northamptonshire’s Seniors added the Anglian League to the newly formed East Midlands League title this year. 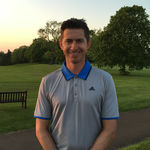 Simon Williams lifted the NGU Open after beating a field of the county’s leading professional and amateur golfers by three shots over 36 holes at Cold Ashby. 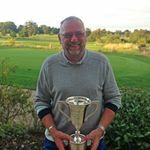 Peterborough Milton’s Richard Cole retained his NGU County Seniors Strokeplay title at Whittlebury Park GC. 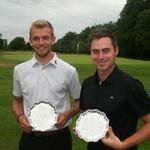 Peterborough Milton's Tom Burgh and Adrian Randall come out on top over 36 holes after a thrilling finish at Kingsthorpe GC. 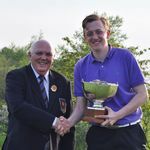 Matt Myers (Northants County) won the County Boys Championships after posting gross scores of 70 and 68 at Overstone Park GC. Ben Jones (Brampton Heath) finished just two off the pace. 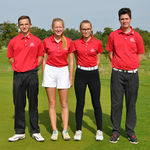 Peterborough Milton lifted the Intermediate League title for the fifth time after defeating Cold Ashby 5-3 in the final at Wellingborough GC. Teenagers Michael and Callum Farr won the County Scratch Foursomes after shooting a gross score of 146 over 36 holes at Oundle. 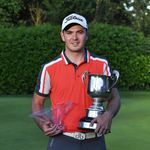 Brampton Heath’s Nick Herridge was crowned 2014 NGU Strokeplay Champion after recording a one stroke success at Peterborough Milton GC. John Rowley (Brampton Heath) and Steve Rowley (Farthingstone) won the Family Foursomes again. Junior Inter Club competition has been cancelled. Due to the weather on Thursday evening the course will not be safe to play the competition. We are looking to rearrange this competition at a later date. Details to be confirmed. Wellingborough's Tom Cheevers picked up the first piece of county silverware this year. County Coaches Shane Rose and Nick Soto announce 2014 programme. 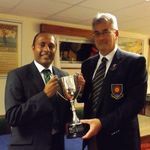 Northampton Golf Club member is recognised for his services to golf throughout the county. 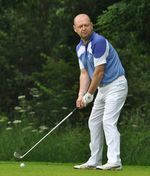 Cold Ashby Golf Club member finishes 16 points ahead after final event of the year. Wellingborough are beaten 3-2 in a thrilling final. Brampton Heath team wins the Am-Am with 83 points on count back. In a thrilling final at Northampton Golf Club Kingsthorpe Golf Club won by 4.5 points to 3.5 points. 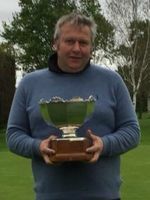 With one game remaining both teams shared 3.5 points and it was not until the last putt that the match was decided in Kingsthorpe's favour with Gary Hardy (Pictured) winning by one up. Michael Campbell wins the Champion of Champions with a score of 69. Paul Hodgkiss wins the NGU County Matchplay. Stuart Bell and Dave Harkess win the Foursomes Final and Adam Costain wins the Singles Final. 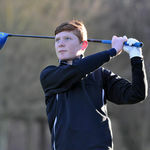 Whittlebury Park’s Charlie Salter defeated reigning champion Jack Brown in a play-off to lift the Northamptonshire Boys title. 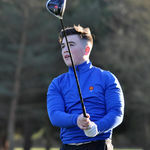 Brampton Heath teenager Jack Brown added the men's strokeplay title to the boys title he won last year. Jamie Milligan from Wellingborough GC finished strongly to claim the top spot with a net 69. The gross prize went to Cold Ashby’s Graham Bott. 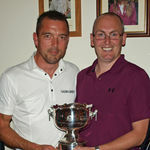 Dan Wood and Fraser Carnihan win the 2012 NPGA Cantrell Cup at Peterborough Milton GC. NGU 2nd Team with the trophy again in 2012. The County Scratch Foursomes has been rescheduled to Saturday 20th October 2012. 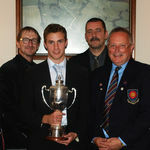 Both the Northamptonshire I and II teams were successful in achieving to win their Anglian Leagues in 2011. Great praise goes out to the captains, players, back up teams, supporters and all who helped. 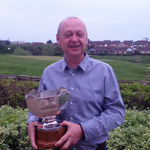 Graham Bott (Cold Ashby GC) wins the Northamptonshire Golf Union Order of Merit 2011 by just 1 point from Jon Handyside (Kettering GC).